The Collinwood Observer is a community newspaper that reflects the news, opinions and current events throughout the greater Collinwood area of Cleveland, Ohio. The print edition debuted Sept. 24, 2009. It is based on what many consider the gold-standard and pioneer in civic journalism, the five-year-old Lakewood Observer in Lakewood, Ohio. Publishes a free, printed edition. 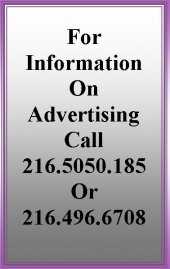 Is supported by advertising revenue and provides an affordable place for local businesses to advertise. Offers a rich online experience, including a web edition of the paper, discussion forums, and a community of websites by neighborhood businesses and interest groups. Builds community by exponentially increasing the number and ability of connections among residents and the institutions and businesses that serve them. Contributes to economic development by providing entrepreneurs a venue to explore new business ideas with their neighbors. An Advisory Board will be comprised of Collinwood area stakeholders who are willing to serve as trustees of the neighborhood’s spirit of community. The Editorial Board is composed of volunteers who write, and/or solicit, and/or proofread content submitted for publication in the print and online editions. Online forums will allow people to post comments on and begin discussions about community issues using their real names, not anonymous identities. The forums will be moderated by volunteers. The Publisher is John Copic. He can be reached at collinwoodobserver@gmail.com. 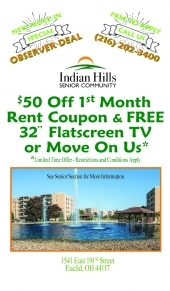 For advertising information, contact John Copic, johnacopic@gmail.com or 216-496-6708. Our mailing address is Collinwood Observer, 650 E. 185th St. Cleveland, OH 44119. The Collinwood Observer is powered by AGS' Ninth Estate Software. Want to start a community paper? They are the leaders in the field.